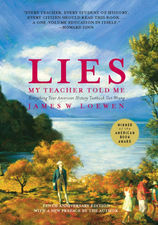 In this revised edition, packed with updated material, Loewen explores how historical myths continue to be perpetuated in today's climate and adds an eye-opening chapter on the lies surrounding 9/11 and the Iraq War. From the truth about Columbus's historic voyages to an honest evaluation of our national leaders, Loewen revives our history, restoring the vitality and relevance it truly possesses. Thought provoking, nonpartisan, and often shocking, Loewen unveils the real America in this iconoclastic classic beloved by high school teachers, history buffs, and enlightened citizens across the country. Dear White America: Letter to a New MinorityIn America: Being white has long meant never having to think about race. Whites have been able to assume that the culture, political leadership and their own neighborhoods would “look like them,” and the economy would work for them, so long as they played by the rules. Now, facing chronic economic insecurity, a multicultural pop culture, a black president and a future in which they will no longer be the majority, whites are growing anxious. This anxiety has helped create the Tea Party phenomenon and is characterized by the call to “take the country back” to a mythologized past. Using racialized nostalgia, the right seeks to enlist fearful whites in a movement for reactionary social and economic policies. But as Tim Wise explains, such an agenda will only further harm the nation’s people, including most whites. Only by embracing a progressive, multicultural future, can the hope of American democracy survive. ​The Crone PDAC book club met and concluded our discussion on Dear White America. The group has chosen a second title, Lies My Teacher Told Me and will be holding additional book club meetings to have conversation. The next meeting with be on May 11 at 7:15 am. All are invited to attend! Please contact Erica Smolinski if you would like to participate. -First Book Club meeting: Thursday, February 9th, 7:15 a.m.